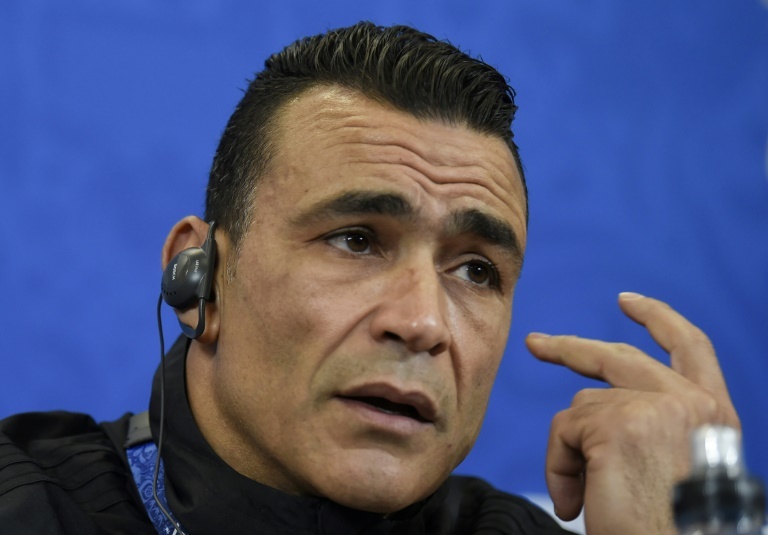 Egypt goalkeeper Essam El Hadary is set to become the oldest player ever to appear at a World Cup after the 45-year-old was named in the team to face Saudi Arabia in Volgograd on Monday. Egypt tweeted their team line-up including El Hadary, who will smash the record set by Colombia goalkeeper Faryd Mondragon, who was aged 43 years and three days when he played against Japan in Brazil in 2014. Liverpool star Mohamed Salah was also named in the starting line-up as Egypt go in search of a first-ever win in their third appearance at the World Cup finals. Salah missed the opening 1-0 defeat against Uruguay after injuring his left shoulder in last month's Champions League final. He scored a penalty in the 3-1 defeat to Russia. El Hadary, who is 45 years and 161 days old and nicknamed "High Dam", made his debut for Egypt in 1996 -- a year before his Egyptian squad mate Ramadan Sobhy was born. Both teams have only pride to play for, having both been eliminated from Group A, with Russia and Uruguay already guaranteed last-16 berths.